Located Highway 131 and Pine St. 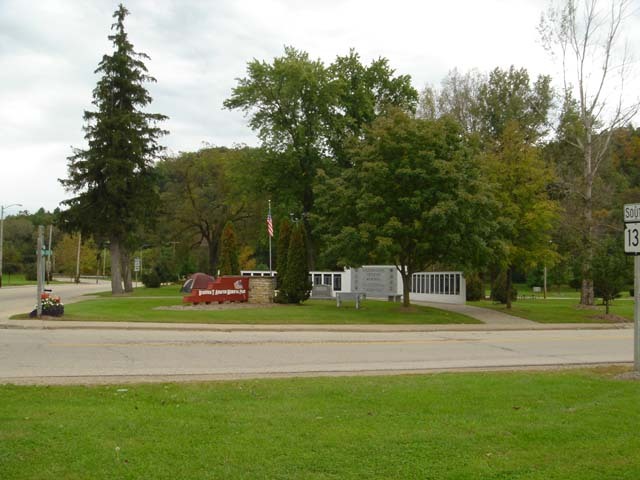 Soldiers Grove, WI Coordinates Lat N 43:23':725" Lon W 90:46':463"
the rugged terrain of western Wisconsin. the soldiers rested: their exhausted and hungry horses, who were unable to find food for days in the jagged terrain, foraged in the grass here. 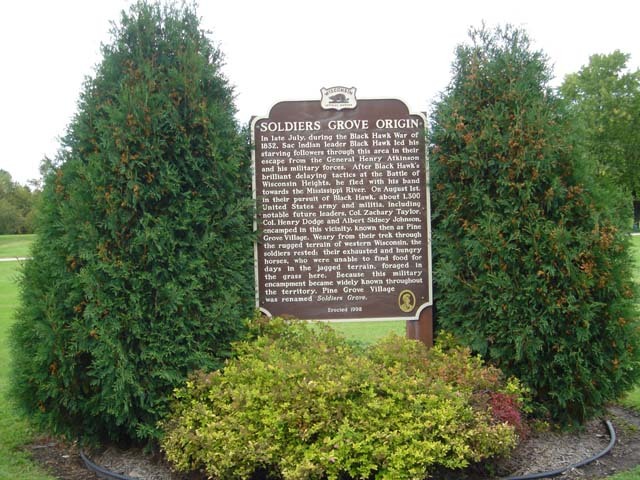 Because this military encampment became widely known throughout the territory, Pine Grove Village was renamed Soldiers Grove.